coal here to Sodus Pt. and loaded it onto boats. Then the coal was shipped to Canada, Oswego and other Lake Ontario ports. This building was located near Sentell St. This is across from where the railroad trestle crossed over Rt. 14 and went out into Sodus Bay. 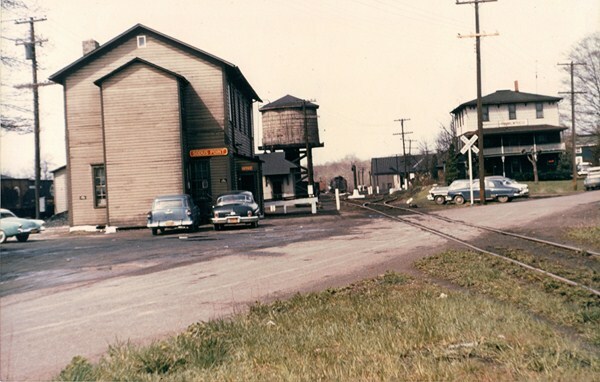 This Sodus Point Railroad terminal was very busy for many years; peak year being 1956. The last boat was loaded with coal here in Dec. 1967. After 1967, the bunk house and the yardmaster’s office was owned by Bill Duesett. The bunk house was upgraded. Between 1976 and 1987, John and Sharon Kellar and her family moved into the former bunkhouse. Her son’s name is still carved in the information building in the point, it was a play house in the back yard. After 1987, it was left abandoned until 1994. 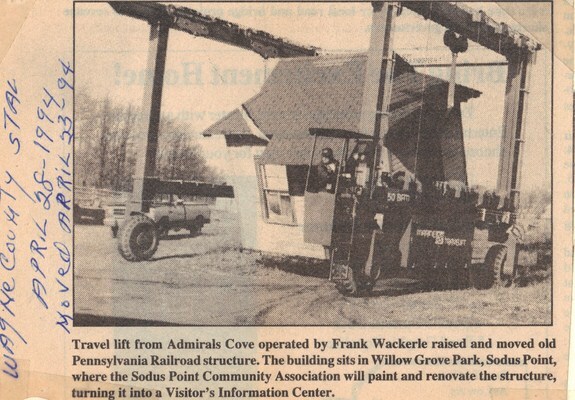 The yardmaster’s abandoned office building was moved to Willow Park in April 1994. Within a few months’ time, it was fixed up into our present day Information Center. During the summer season, many volunteers welcome out-of-town visitors here; while the Sodus Point Garden Club plants and maintains the beautiful landscaping. 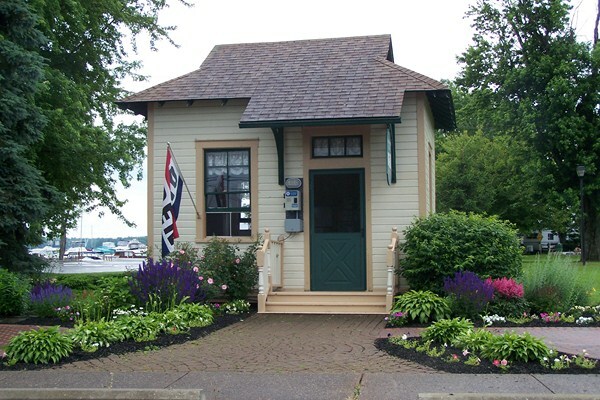 The Neighborhood Association of Sodus Point has added a map kiosk , benches, memorial bricks and clock to this centrally located village information center. 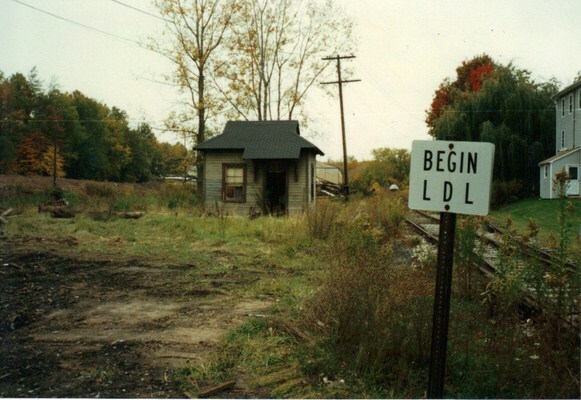 Historic photos shared by long-time Sodus Point resident and Pennsylvania Railroad retiree, Henry Zerbe.